I just moved Amber in to Beaux Chateau in Riverview, turns out this is exactly the house Llandros also bought, but hey it was the most expensive free house so why not! I sold the chess table because even with a computer in the house I had a really hard time keeping her from trying to learn chess / logic which she isn't allowed to yet. I also bought a couple of laptops and the stuff she will need for this season's skills, and then I made a backup save! Time to wait for that mascot! In the meanwhile I'm kickstarting her 2nd blog 'The Way Towards A Fine Arts Degree'. After much internal debate I decided not to go to a dorm or sorority this time, because I like her to have a house to herself, and a bedroom she doesn't have to share. So I decided to rent Dedham Domicile, mostly due to it's location near the Arts school. And what do you know, it has a whole area dedicated to art at it's top floor! Amber is now halfway through her first week, and while I was planning on living alone in her nice house near the art school, she just asked someone to be her roommate! Wait, what? Roommate? Yes, let me explain. I had Amber meet a lot of people, and while during the first time doing this challenge I was really trying hard to find someone who wasn't occupied yet, this time I always have an eye out for all the singles until I find someone I'd like to 'catch'. Enter Jeffery Dean. So in the process of fishing for him I had Amber becoming best friends with him and then I invited him over. I was originally planning to keep in contact with him and to get him to move in with her after the last exams, but then I saw 'ask to be roommates' popping up under friendly. So I just tried, and the next moment he was living with her in this house. And as it has 3 bedrooms why not! This will probably make it easier for her to ask him to move in before leaving university after 2 weeks, and therefore travel home with him instead of like having to ask him over after arriving home. To be continued! After trying to have Amber ask Jeffery as her boyfriend for half a day, and him getting the 'you are acting weird' several times I nearly gave up on him. But then there is google, and I found out stuff like ask to go steady, propose and the likes are either bugged or intentionally not available in the university world. So I went Meh and used tje transmogrifier on him. Boyfriend he will be. Other then that I will have to go back to the old go home alone and invite him over strategy. But at least he's not the egotripper I thought he might be, its just the game acting up. As a player, the music in the game is not something I typically enjoy messing with, especially as it sounds really bad at the start/ so instead I made her learn the needed guitar skill from a tabcast. Hey, it worked. She has the tab, why not use it? Other then that she is about halfway with the painting skill and has a good start on street art, mainly by painting and sketching. I won't have her paint actual street art untill she knows how to draw because she isn't the only one with the perfectionist trait.... She also made a start with the cooking skill with a class, but I'm focussing on the art ones first. As I hoped and expected, Amber finished her Fine Arts Degree with a clear A grade, and so she went home. Without Jeffery, as I also expected. So as soon as she got home she invited him over, and in the day it took until he arrived we prepared the house a bit and max out cooking. Of course I had already done most things before I left for the university, but now that we returned from university I also placed the chests that we are actively using with collectables and other stuff. I choose to place them in the tower room near the stairs, on the 3rd floor, because I liked it very much. And they won't be in the way there. I also bought them a second car, which I painted grey as that is Jeffery's favorite color. And within hours after he arrived they were married, so far everything according to plans! I also just did something that goes straight against the rules. I deleted the graves from the family inventory. Due to some reason Aaron showed up on none of the family tree pages anymore as soon as I visited the University (probably because there was a new Aaron there) and so it isn't complete anymore. Besides that, I was already doubting if I should keep them or not for many reasons. Like, a town full of resurrected husbands? That spells trouble!? And then their is the inventory graveyard with 18 towns of husbands and offspring. And just the whole idea of resurrecting ghosts is not my cup of tea at all, and that alone should be reason enough! So there's that, they have served their purpose and will be remembered by me. As with any season I have to have at least 1 baby in one of the methods that the game has to offer. Because this is the first season in which she is human, this is a perfect opportunity to have a 'normal' pregnancy and a human baby. I am also going to combine it with nraas's risky woohoo to have experienced that also. And maybe there will be multiples, so in that case I would have 3 methods down on the list. Either way, for this season I am going to have only 1 pregnancy, and the kid(s) that come forth from that will be the only ones she has with Jeffery! Seeing that she collected a bunch of life time points I have been shopping in the social traits section! She already had: Age Freeze, Alpha Dog, Immune to Cold, Immune to Heat, Never Dull, Observant, Opportunistic, Simmunity & Super Nanny. And today I added: Attractive, Excellent Groupie, Inappropriate But in a Good Way, Legendary Host & Long Distance Friend. Also during this week I managed to maximize her street art and painting skills, as well as finishing all three of the challenges for painting! What remains for this season is the challenges for cooking, guitar and street art, and as a long time project collecting challenges. She also has reached her 5th celebrity stars a couple of times, leading me to think that it was bugged, but apparently it is set to decay just like the social skills. So I have to let the paparazzi's photograph her more, because that has been the fastest way to get from 4 to 5! Collect more insects. Sigh. Boooooring. But it needs to be done. Amber Allstar and Jeffery Dean have welcomed their son Carlos Dean in to their world! I have spent some time focusing on him, so I could get him the skills he needs, and he is now just ready to start school once the weekend is over! This season I am not planning to have other kids besides him, so from now on the focus is jobs and skill challenges. And a bit of collecting of course! This blog is rather short, because other then long boring details on how she potty trained Carlos and taught him to walk and talk, and read a lot of cooking recipes, there is just not so much to tell at this point! It's been a while so here is another update. Currently Amber is working on two goals and preparing for a third. She is at level 8 in the Culinary career track, and she is using it to finish the Guitar Star challenge. From what I found on Google (mainly this article) that challenge is a big pain in the plum, and really the only way to do it legit is by waiting a figurative thousand years for all the opportunities, or if you don't want to take that long, use testing cheats to force those same opportunities while you are in the Culinary career. Which she is. Which is why I did it now. And she just got it. This is the Day of Almost in my save. Amber is currently in level 9 of the Culinary career, and little over 4k away from getting the Money Maker guitar challenge. She also has almost the whole third floor full of paintings. I have noticed that at level 9 she basically only works in the weekends after her next shift it is 4 days off, so I don't think she will finish the career this week. At this level it usually takes two shifts. As for the guitar Money Maker challenge, I probably could try finishing it tonight, but after the 5th crash I just decided it was enough for today. Good thing my game always saves backups every 6 in game hours, but that still leaves plenty of stuff that I have to redo every time and it just plums. Among so many crashes that I stopped counting I managed to finally get the third and last guitar challenge finished. I was so done with it I sold the guitar. I can always buy a new one later when it is needed. Instead of relying on Saver which saves every 6 in game hours I started saving a dozen extra times! After each finished painting, after traveling, after getting an opportunity for the guitar (which I got by the same method as I used for the Guitar Star challenge), etc. So that I wouldn't have to play the same day many times over! Amber has reached the final step in the culinary career and focused on the self employed painter career. By having her paint every day in her free time and hanging those paintings she had collected a total of 68 small paintings! I had read somewhere that you can make more money from paintings if you consign them, so I decided to consign them in batches. As she has the Born Saleswoman trait and already has the highest consignment reputation this proved to be a well funded (cough) decision! Within no time she had made a sum of almost 60k from those paintings. Individually they were all worth around 500-700 so I consider that a nice deal! Now I am working on the last step of this career! The next post will be the start of season 3! As you can see I striked through the tattoo / makeover recquirement for this season. This is because first of all, tattoos aren't my thing and I don't want Amber to get one, and second of all I like how she currently looks so much that I want to keep it like that. I will however, just for the sake of having done everything, put either her husband or one of her future kids through these two activities in this season. In Twinbrook I have moved Amber in to the Willow Manor, but before I had her take the property I went over it in buildmode first. I upgraded all 4 bedrooms on the second floor with the nebula bed, and emptied the double bedroom at the third floor so that I can turn it into a hobby room later, and left the kids room as it is for now. In the University world I rented Regal Ranch, and temporarily changed the bed that was in it for the hoverbed in her inventory. In both worlds I placed the Elixir Consignment Store close to her house, because I intend to visit it often. Before moving to the university world I actually went shopping for some skill related items, which I moved into the family inventory untill needed. I bought her a Sculpting Station, Scraptonic Workbench, Chemistry Lab, Broom Stand, Zoomsweeper Pegasus and an Iridiscent Wand. On my wish list for later are a broom arena, a bee keepers box, and the stuff I need for creating and maintaining a simbot! The broom and the wand are of course because in this season Amber will be a witch! I had the ingredients to brew the witch potion, and did so at Aleisters across the street. She threw it at herself shortly before departing to the university, so that means the first goal has already been finished! Start a blog & get it to 5 stars A.S.A.P. After the first term in her study for a Technology Degree her performance is all the way up and she got flying colors on all 3 exams! She has been working on the Logic skill by way of the Chemistry Lab, as Llandros warned us in the video not to skill up on handiness yet untill you are in the firefighter career. I also took an inventing class, but due to above reason I will not skill her up in that any further just yet. Even though she had a house all for herself, we have seen a variety of roommates filing past. After a couple of attempts to set her up with one of them, I got increasingly frustrated with the weird quirks of the university world. Somehow, I never get the "ask to go steady" there, and if I keep romancing to try, like I would in any other world, sims actually get annoyed, frustrated and angry at Amber. Weird stuff. Anyway, the third roommate she got was Travis Jones, and he liked her very much, so this time around I just skipped a few missing steps and used the social networking relationship transmogrifier to make them partners. After another week of classes Amber got her 3rd degree, as I hoped with an A grade. So it was time to pack up all of her stuff, go home, and invite the roommate over. When he arrived I added him to the household right away, and that is where I last saved the game. So now it's time to create a family with him, and work on our other goals. Well, I was planning on writing a blog about how awesome the firefighter career is, and how I am loving every part of it! And how she steamed ahead to level 5 already. But then it happened. While she was working Amber's 4 star celebrity husband got notified for being 'naughty'. So I decide to check on him (usually I just let them do whatever they like) and he is flirting with the (male) maid! They were already romantic interests! I broke them apart, and then a couple of days later he found another flirt over the simternet! So I decided to have them try for baby a couple of weeks earlier then I planned originally, and then I gave him two 'birthday parties' as a reward for his 'loyalty'.... that will teach that elder a lesson! As she is working on the invention skill, she has this challenge to detonate 150 objects. I felt a bit overpowered at how I would actually get that done, but then I saw this video of Llandros, the challenge creator, in his original Let's Play of this challenge! He bought an empty lot, a bit out of the way, put a cluster of 150 party balloons on it, and kept detonating untill all of them were destroyed. There is just 1 huge difference between his Lacey and my Amber. Lacey kept her distance, and Amber kept checking out why objects didn't detonate after a number of seconds, only to find herself in the center of the delayed blast. Every. Single. Time. Fortunately she just got scorched, nothing that a simple bath couldn't solve! Okay, so I have a habit of letting the family roam freely around the house and mind their own business. Or in other words, I ignore them most of the time, focusing on Amber instead. So I was utterly surprised when she was going into labor and I sent him to check on her, to find out they were enemies, and actually no longer married. And when I went to send him, he was talking to the (male) maid AGAIN. This guy clearly didn't have her best interest in mind, so I arranged a grim meeting for him and I am not sorry! As I said above, she was in labor with their child while all of this happened. She gave birth to a BEAUTIFUL baby girl, the first of her children that actually inherited her amber-yellow skin color! I called the little girl Daisay, and I hope that they will get along better then she got with her daughter from the first season! I also decided to get her some more traits with the points she saved up. First of all, Steel Bladder, Dirt Defiant, Hardly Hungry, so that she will have more time to focus on the important stuff. And then there is Stone Hearted. As she is age frozen she will see a lot of her husbands and children go while she will stay around, and I hope this will help her keep going a bit better! As much as I loved the firefighter career (and I will probably use it again in the future), Amber has reached level 10 and it is time to move on! So with pain in my heart I had her quit, and register as inventor. She has already achieved inventing and handiness level 10, and is currently working on the challenges for both of these skills. They will be long term challenges as she has to make 100 big inventions, 250 gadgets, and perform many repairs and upgrades. I have set for myself as a goal that not only do I want her to reach the 10 unique upgrades challenge, but whenever possible I want her to reach 100% on the unique upgrade stats, or rather 100% in any skill stat that has it. So I have her check every building that she is in for upgrades that are still on my list! After days, days, days and some more days of working at the invention station, mass producing floor hygienators and smashers, Amber managed to get those inventor challenges done! And while she was nearly finished we finally got the long awaited phonecall that led to her learning how to create a simbot! When I choose to keep him I had to give him a name so I called him Marvin. However he doesn't look very depressed, going downstairs to mix himself a nice drink immediately, so maybe I should have picked something else, lol! 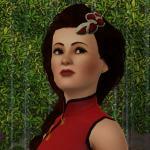 There is one thing the sims 3 has more then I have a taste for. Or actually a couple, tied in one category. Lag. Bugs. Crashes. Especially when I go in to map mode it crashes a lot. Which isn't very helpfull if your sim needs to go places.... enter the new Masterfull Miner my sim has made! I tried out what it did by drilling a big hole next to her mailbox. Now that is a proper (and huge) rabbit hole! Before I had to quit I was almost done with the second hole, that I conveniently started drilling right next to the consignment store. Amber has plenty to sell there being an inventor and soon a sculptor! I am also planning to diggy hole near both scrapyards and maybe some other locations. By naming the tunnels I can travel certain destinations skipping mapview and therefore hopefully with less crashes. And it looks awesome! So I expect future towns to also look like abandoned mineshafts popping out of thin air, just because it makes life so much easier! Just found your blog, really enjoying reading about how you are taking on this challenge Also love the spreadsheet! @AlHollandiyah - I'm enjoying your system of exploring the game with this challenge and your step by step goals and progress. I'm sorry you are getting those crashes. I find using NRAAS ErrorTrap and Overwatch prevent many bugs from irreparably breaking the game. I hope you do not lose your progress. Good luk and good going! Thank you so much for the awesomeness of being the first person that actually replied to my blog! That made me very happy! Thank you very much for taking the time to give me some tips! First things first, credits where they belong! The system of what where and when has been cooked up by LLandros in this topic! I am merely following them with a little twist of my own here and there. As for those mods, I am using them indeed, but I think having all packs and a bunch of (nraas) mods makes for easier crashes. Well, those mined out holes will surely help I hope! I can never seem to follow all rules of a challenge without making new paths -- I tend to be fascinated by new events and sometimes get absorbed in the side attractions. What I meant is when you post, you include the goals so it's easy to see where you are in the Llandro's plan to explore every part of the game. I've been lurking this thread for months. Additionally, I have never story-fied (yes that's word at the moment) my games in organized blogs and pictures (It's still tough for me to find time just to game or lurk), but I learn so much new stuff from those who are able to. Carry on. Thank you for doing this! I think that the majority of simmers use a challenge as inspiration rather then adhering to the rules strictly! But after all its a game and it should be fun. I am a player that sometimes likes to use little cheats here and there, and I dont feel guilty for doing so. And ofcourse there are always a few things here and there you dont actually like that much! As for this challenge and its ways to explore all the game has to offer, I think it is brilliant. I am a sims 4 player who ultimately got bored with that and decided to give 3 a try. From the first moments it was clear that 3 had so much to offer that I didn't know where to start. Then I found this challenge! 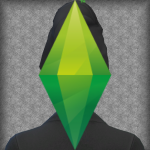 So in a way this is my crashcourse of sims 3, lol! Now I have a clear path of what to do when and I know what to google! As for the blog format, I was looking for a way to unify the posts and this seemed to work. And I stuck to it. I made many blogs about ts4 challenges but none as organised as this one.... Thank you very much for following and taking the time to write a reply! That is very much appreciated!